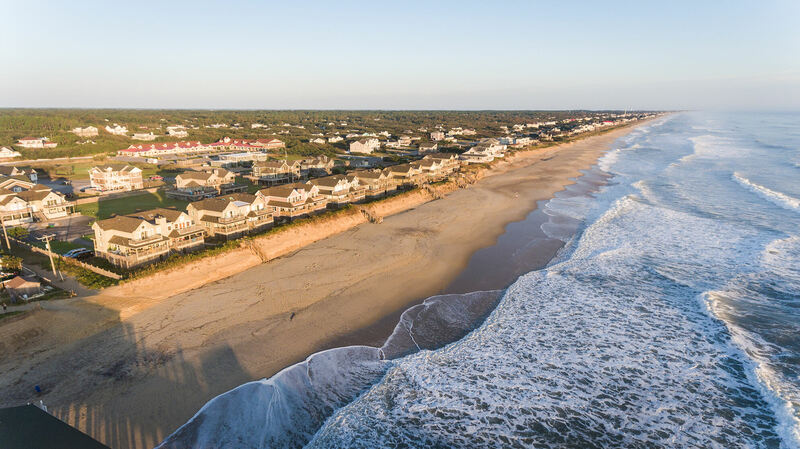 By a narrow 3-2 vote, Southern Shores Town Council at its April 2 meetings gave preliminary approval to limiting septic capacity for all new Southern Shores homes and capping the overnight occupancy for any vacation rental property at 14 persons. The action came after a prolonged effort and series of attempts to maintain a low density residential character for the town after the N.C. General Assembly passed legislation in 2015 limiting local authority and control over various building design elements including the number and types of rooms. An earlier effort at density control by Southern Shores set a 6,000 square foot limit for single-family dwellings. Available for consideration were three different but similar zoning changes aimed at limiting residential density. After a short review of the three ZTA 19-01PB, which limits septic capacity and added two definitions, had the most support. In addition to limiting septic capacity, ZTA 19-01PB adds definitions for vacation cottage and transient occupancy. A vacation cottage is defined as a single family dwelling used in whole or in part of a calendar year for transient occupancy. Transient occupancy is the overnight stay in a residential structure for leisure, recreation, vacation or other purposes for less than 30 days by persons who have some other place of residency to which they will return. Although Jim Conners was in favor of that version, he wanted all references to vacation cottages removed. Unable to gain enough support for deleting the references to vacation cottages, Mayor Tom Bennett pushed for accepting the code change as written.